Laid Back Festival announces Atlanta date. Laid Back Festival will return to Atlanta, GA on Saturday, October 14th at the Verizon Wireless Amphitheatre at Encore Park. 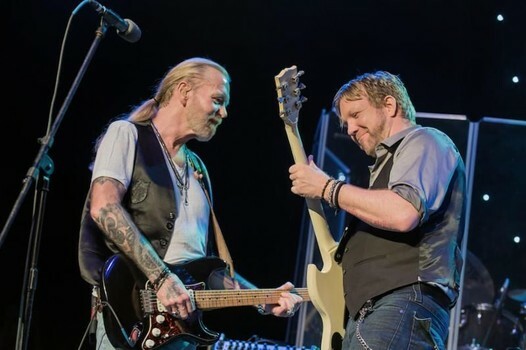 Headlined by Lynyrd Skynyrd, the festival welcomes very special guests, the Gregg Allman Band lead by Gregg’s musical director Scott Sharrard with special guest Devon Allman in honor of his father. Gregg Allman’s last concert appearance was in Atlanta for Laid Back 2016. Devon and the band will play Gregg’s final studio album Southern Blood in its entirety as well as other Gregg Allman favorites. Jaimo and his Jasssz Band will kick off the festival followed by Bishop Gunn. Stay tuned for more details on the Laid Back Festival Atlanta event page HERE.